As of mid-February 2019, we are waiting to see if a recent Siberian breeding has taken. 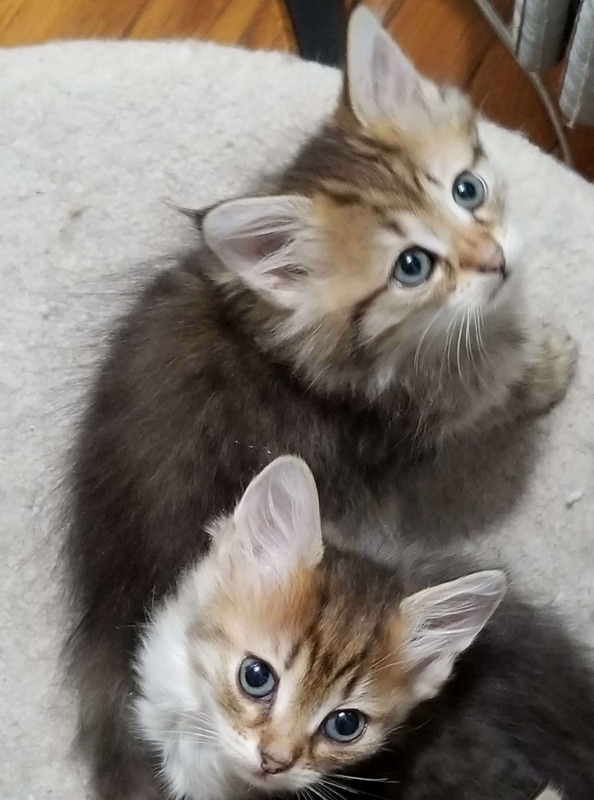 If so, there will be kittens available for reservation in early April. If not, we plan another Siberian breeding in March and a Turkish Angora breeding in May. We expect to have a bicolor Turkish Angora female available to a retirement home in fall 2019. She would do best in a single cat home. Inquiries welcome anytime before that. Over the years, we have learned that maintaining a waiting list of people who are interested in kittens is not productive. Breedings and births don’t always happen as planned and by the time we have something to offer someone on a waiting list, they tend to have gone elsewhere for a kitten. So, we only take names and contact info within a few weeks of an expected litter. We then get back to those people as soon as the kittens arrived to let them know what is available. 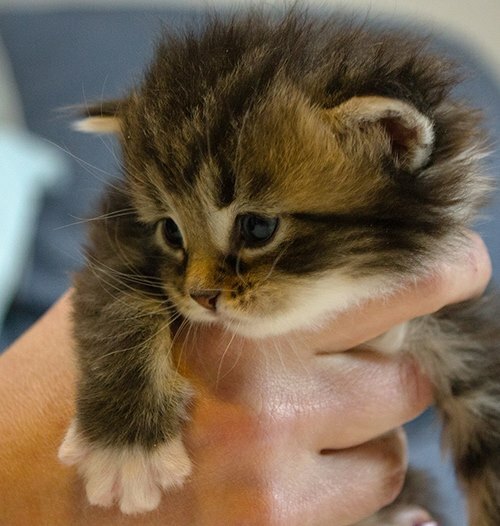 We do not take deposits or formal reservations until kittens are born. What to expect from a Folie à Deux cat or kitten. 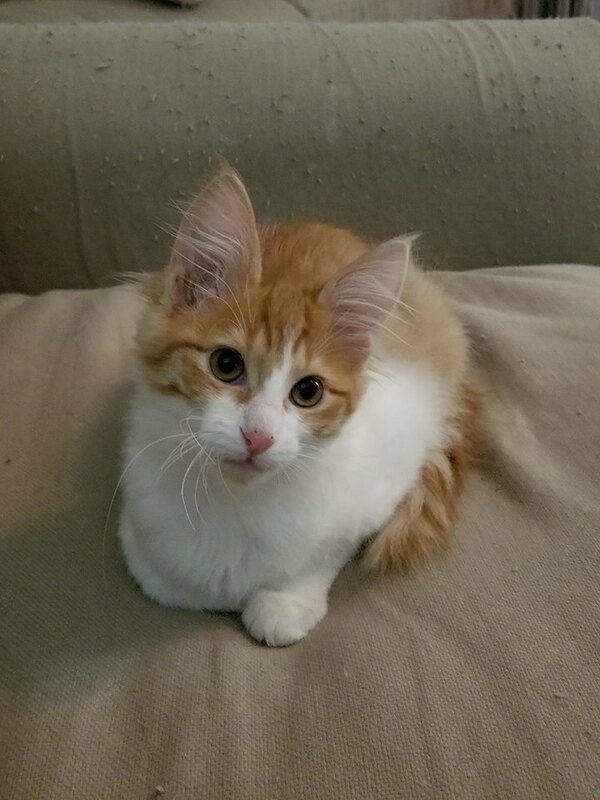 When you buy a purebred kitten from a reputable breeder, it should come to you with more than just its papers. You should know where your companion comes from, what kind of surroundings it has been raised in, what it is likely to look like as an adult, and what health issues you should be aware of. You should feel that you’ve chosen a pet that benefits from years of selective breeding for those qualities that best exemplify the breed. Your breeder should provide you with a good understanding of how your cat can be expected to fit into your lifestyle, and be available as a resource you can turn to with any questions or problems that may arise. Folie à Deux cats offer you all these advantages and more. We are small-scale breeders who raise only one or two litters at a time. Kittens are usually born in our bedroom and get plenty of attention and human interaction from the day they are born. This helps ensure that you end up with a friendly, well-socialized companion. All our cats and kittens leave for their new homes with health certificates and an extensive health guarantee. They will have at least two sets of 3-way vaccines and a rabies shot. We do not vaccinate for feline leukemia, but test one or two cats a year randomly for it and have never had a positive test Because of new USDA regulations, we can no longer ship cats or kittens directly to new out-of-region owners. If you live in the northeast, we will make arrangements to meet you at a mutually convenient location to deliver your kitten. If you are located elsewhere in the country, it is possible that you may need to fly to come pick up your kitten. Please ask for more details about this process. You can download a sample of our standard pet contract here.